A comprehensive title on controlling and managing citrus tristeza virus, which causes complex disease syndromes in citrus. 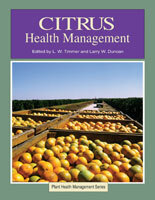 Citrus Tristeza Virus Complex and Tristeza Diseases is a comprehensive title on controlling and managing citrus tristeza virus (CTV), which causes complex disease syndromes in citrus. This book includes a description of the disease and its history as well as information about diseases caused by the virus and the management of the disease in different countries. This book will be of interest to plant pathologists, plant virologists, horticulturists, and graduate students in plant pathology and related sciences. Based on strictly economic criteria, Citrus tristeza virus (CTV) is often considered one of the most important plant viruses known to date. This alone makes it a prime candidate for a research program. Given the world­wide distribution of citrus, the high value of citrus crops, and the severe damage inflicted by the virus, it comes as no surprise that CTV has been studied by plant pathologists all over the world. However, in addition to these practical considerations, CTV is the largest and most complex virus among all known plant viruses. If one adds a genetically complex woody perennial citrus host to this interesting mix, it becomes clear that to solve the problem of managing CTV infections in various species of citrus grown in diverse environments all over the world, a comprehensive research ap­proach has to be applied. 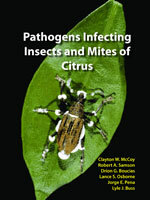 Section IV: Resistance to Citrus tristeza virus in Citrus spp.